Home→Cloud→Just how important is ‘The Cloud’ in a world of connected devices? ← Azure RemoteApp – Why it is such a killer solution? The importance of ‘The Cloud’ in a world of connected devices. It doesn’t really matter if you are a consumer or an enterprise user. The number of devices you are likely to be using has increased from 0 or 1 to around 4 or 5 already. This is likely to increase as we consider the rapid expansion of the Internet of Things (IoT). 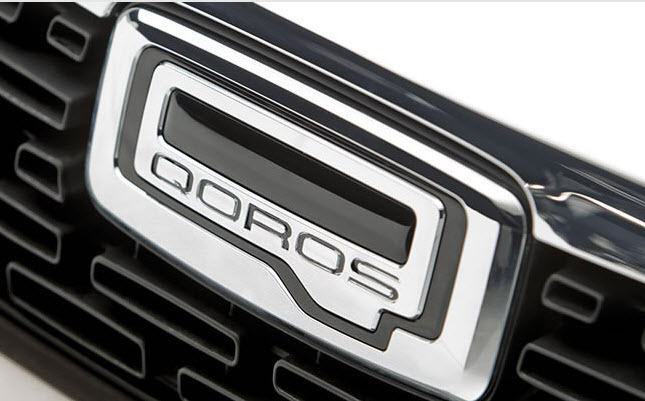 Already there are internet connected cars such as those built by Qoros in China who have developed an innovative solution using QorosQloud. There are many features of the system, but the most attractive to me is the ability to create a navigation plan based on your calendar and its meetings. Whilst sat in the office at a desktop PC you can set a meeting and its location. If your car is parked a short distance away, when you pick up your smartphone the walking navigation route to your car (not your final destination) appears and activates, when you arrive at your car and start it, the journey continues automatically. When you park some distance from the destination of the meeting, in a car park identified by Qoros, the smartphone guides you the final steps by foot. Impressive, I think so. This system exists now and is entirely hosted by the Microsoft Azure Cloud! Read the press release here. This is just a taster of what a world of connected devices can do. The ability of an enterprise to maintain and support the required infrastructure to manage such a solution on a wide scale is beyond the means of all but the largest most cash rich organisations. Indeed the cost of such hardware and logistics required to manage such datacentres efficiently, professionally and with SLA’s in acceptable levels of reliability is currently within the reach of only two or three such organisations on the planet. 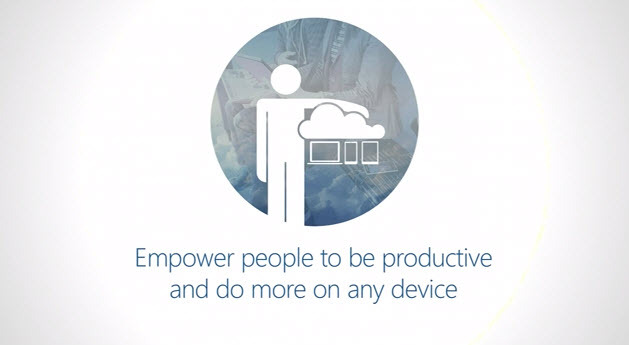 What impact does the cloud have on the average mobile consumer and worker? So let’s assume you aren’t in China, don’t own a Qoros car and just sit on our little island commuting from Birmingham to Reading on an infrequent basis, splitting your working life four ways. Could I do my job, and live my fairly normal home life without the cloud? Imagine the unthinkable, all non on-premises resources become unavailable for a day. What could I still do? Let’s take a look at what services I use on a day to day basis. So my normal day would be completely limited to telephone calls and using my Laptop / PC / iPad or Surface to do local things, saving them to local storage or removable disks for transport to work.. If I had an exchange account that was not on Office 365 I would still have email. * Some enterprises may have some of their services on-premises but for my working life this is not the case. What, then could I use to keep connected to my digital life? In my working life, I could use all the old traditional tools like Server 2012 R2 / SharePoint / Exchange all hosted on-premises. I would face all the challenges that brings for scalability, elasticity, sharing between organisations using ADFS and other federated identity solutions. Without thesse i would be connected internally but isolated from my wider connected environment of customers, partners and vendors. So what about the consumer. Essentially without the cloud we are pretty much disconnected. The vast majority of internet services are now either run on SaaS, PaaS or IaaS cloud solutions. The days of normal businesses being able to host their own public-facing services are gone. I include in this all other cloud providers that are not on the scale of the big two or three. If you think the Cloud is just arriving, then nothing could be further from the truth, we are already completely and utterly dependent upon cloud services of all types. The future is only going to get cloudier. The management of mobile devices using technologies such as Windows Intune, the provision of ground-breaking services such as Azure Machine Learning and Azure RemoteApp are only proving just how valuable and important the cloud is to a world of connected devices today. Already OneDrive is integrated into Office 2013 and Office 365, Google integrate cloud storage into Android handsets, Apple integrate iCloud into iPhone and iPad – there is no escaping the cloud whether or not we send our enterprise applications, infrastructure and data into a public facing cloud, we are all already enmeshed! The internet age brought us information at our fingertips. The cloud era brings us the ability to manipulate, consume and use that information in ways and with speed and in volumes like we would never have believed. 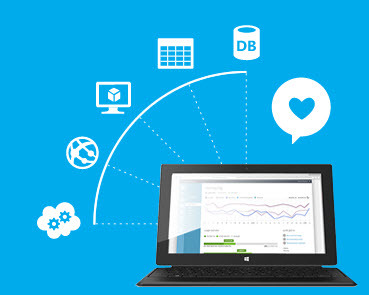 Microsoft Azure Storage now stores Trillions of objects. The future world with the explosion of the IoT where everyday objects are internet enabled and produce data but have little or no storage on board will require another rapid increase int he resources available in the cloud to store and analyse that data into usable information. I was determined not to focus on the Social media aspects during this post but cannot finish without a brief mention, the rapid expansion of the different platforms and their monetisation has simply added to the drive towards cloud hosting of data and services. It is too late to go back, the duty now is to continue to keep the cloud a safe and secure place for us all to rely upon in our working and personal digital lives.